As a coach, hands down one of the most difficult things is selecting the race boat. On competitive teams, coaches spend countless hours reviewing data from fitness tests and time trials, as well as video, in order to determine what they consider to be the strongest boat. The coach’s goal is to win while creating a cohesive team that will function as one unit. If you aren’t selected for the race boat, it can be extremely disappointing and frustrating. As a coach, I have been the brunt of such frustrations. I once had a paddler go so far as to accuse me of choosing my friends for a race boat going to the Club Crew World Championships in Ravenna. Not only is this absurd, it is entertaining at best and illogical and offensive at worst. The coach’s decision is difficult enough without accusations flying. The main thing to keep in mind is that the coach wants to do what they believe is best for the boat. There are rarely ulterior motives for a coach. As a competitive coach, I don’t put together “friendly” boats. My goal is always to create winning boats. So, what goes into these decisions? Each coach likely has a slightly different method to their selection process, however, I am fairly certain that each coach of a competitive team has the same objective in mind: to win races. Most coaches use some sort of time trial as a major factor in their decision process. Whether this is on an OC1, an OC2, a dragon boat, an erg with a paddle attachment, or even a data acquisition paddle, these are all ways to determine a paddler’s strength-to-weight ratio, which is a crucial aspect of paddling. Time trials are a major component in race boat selection for most coaches. In addition, some coaches may include a fitness component to their selection process. These tests vary greatly but may include activities such as pull-ups, push-ups, sit ups, squats, bench press, and overhead press, among others. Another essential element is the coach’s observations that are made while on the boat or in video reviews. Coaches spend a lot of time watching their paddlers in action. 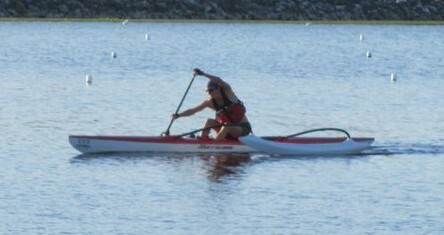 Some paddlers blend better than others, some easily adjust their technique to what is required. Coaches are looking for paddlers who will effortlessly integrate into the boat and can make modifications as needed. If, for example, a paddler’s stroke interferes with the paddlers in front and behind them, they are clearly not a good fit for a race boat, no matter how strong they are. If a paddler is insanely strong but shifts weight in and out of the boat while paddling, this is clearly going to negate their strength and be detrimental to the race boat. Video review is a great way for coaches to see how paddlers blend on the boat. Other important factors are side-preference and weight. We all think about the fact that the boat requires 20 paddlers. However, there are only 10 spots on each side of the race boat. You need to be in the top 10 of your preferred paddling side in order to be selected for the boat. If it is a mixed boat, your chances are even smaller than that. If you are talented enough to be a strong paddler on both the right and left, you will increase your likelihood of making a race boat significantly. If, however, you are like most of us and have a strong preference for a particular side, you are competing with many people for a small number of spots on your preferred side. Now factor in weight. Whatever size you are, there are likely some places on the boat that you are well suited for and others that you are not. For example, I probably would not put a 200 pound woman in seat 1, 2, 9, or 10, and I wouldn’t put a 100 pound woman in seats 4, 5, 6, or 7. Placement may not be determined strictly by weight as much as it is by your weight relative to the rest of the team. Larger paddlers typically are in the engine room and smaller paddlers are typically towards the ends of the boat. Of course there may be exceptions to this, but for the most part on a very competitive boat size matters. So, as you can see, it’s not simply about being in the top 20 (or 22+ in the case of having reserve paddlers). When paddlers look at the data from time trials it is important to remember that it is impossible to compare all the data directly. First of all, you cannot compare left-sided paddlers to right-sided paddlers. Don’t look at the data and immediately think, “I beat Joe, why is he on the race boat and I’m not? !” Take a moment to determine whether this paddler is even on the same side as you. If he is a left and you are a right, there is no comparison. The coach needed a left and Joe happened to fit the bill. Size is another area where you cannot compare. Don’t look at the data and immediately think “I beat Sue, why is she on the race boat and I’m not? !” Take a moment to consider Sue’s size in relation to yours. Perhaps the coach needed a 170 pound person in the engine room on that side of the boat and you are only 110. Unless you plan to gain 60 pounds quickly, chances are good that Sue fit the spot that the coach was trying to fill better than you. A good example of two vastly different paddler sizes. Now let’s say that your time trial was better than someone who is roughly the same size and paddles the same side as you. How did that person get selected and you didn’t? Good question. As mentioned before, there are many factors that go into the decision process. Perhaps something in your fitness test was not up to the standard that the coach set? Maybe your stroke didn’t blend in as well as the others who were selected? Maybe you have improvements to make in your technique? Maybe the coach didn’t see the necessary progress in the time frame that was given? Maybe your attendance at practice wasn’t adequate? For the most part, competitive coaches try to be as transparent as possible in their selection process. But do keep in mind that coaches are often insanely busy and their focus is on selecting the race boat, not necessarily on explaining to each paddler why he or she didn’t make the boat. So, if you did not make the boat and you are unsure of the reasons behind the coach’s selections, take the time to ask the coach why. This is far better than flinging accusations or spreading rumors about the coach. I guarantee that the coach will appreciate the question and will answer you when he or she has time. Like what you’re reading? Get the best of paddlechica’s blog posts by following my blog! Find out more about paddlechica. 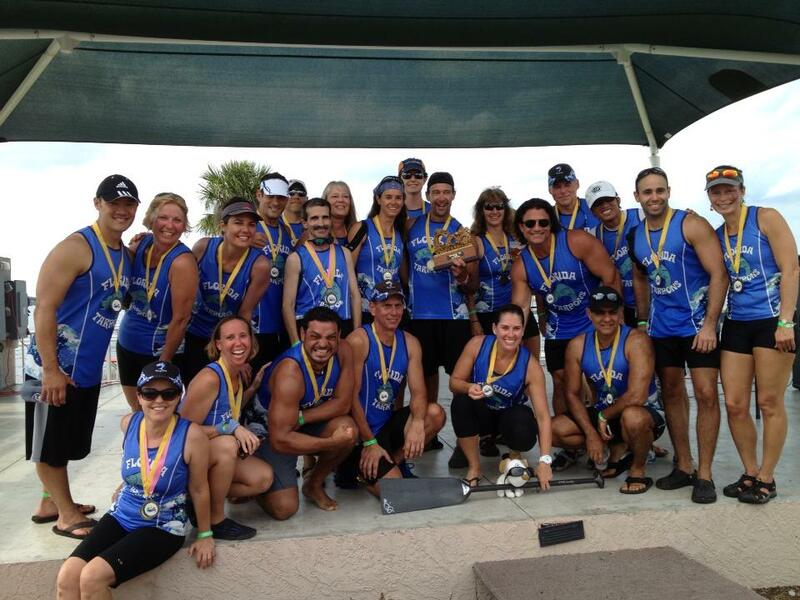 Kristin Stickels is a three-time Team USA member of the US National Dragon Boat Racing Team. She is the coach of the Miami team Puff, the Florida Tarpons women's team and the local Breast Cancer Survivors' Team (SOS). She is also an avid outrigger canoe paddler and raced through the Panama Canal on a native cayuco boat from the Atlantic to the Pacific.